SAN FRANCISCO -- Apple Inc. may already be positioned to evolve into a global automaker in many ways that other Silicon Valley companies aren't. The California tech giant has put a few hundred employees to work on a secretive project to develop an electric automobile, a person familiar with the matter has said. While Apple often tests ideas that don't get released, the work underscores the company's long-held desire to play a greater role in the automotive space, which is ripe for more of a merging with users' digital lives. "It makes a ton of sense," said Gene Munster, an analyst with Piper Jaffray Cos. "If you would've said 10 years ago, 'Apple is going to be in the car business,' I think people would've said you're crazy -- because it would've been crazy -- and today it's a much different company that's able to tackle these massive addressable markets." Apple, with a market capitalization that's more than $700 billion, needs to continue growing sales in iPhones, its largest revenue generator, while also expanding into new markets, such as automobiles, if it's to reach a $1 trillion valuation, Munster said. He added that he doesn't think Apple would bring out a car in the next five years. Nonetheless, Apple boasts some advantages versus other Silicon Valley companies with car ambitions. Tesla Motors Inc., which delivers less than 10,000 vehicles a quarter, surprised investors last month when CEO Elon Musk said the company wouldn't be profitable until 2020. The automotive industry churns through cash at an astonishing pace. Apple, as it turns out, has a cash hoard of almost $180 billion. As Musk said last week, Apple is "just running out of ways to spend money. They spend money like it's water over there and they still can't spend enough of it." While the old rule of thumb was that it cost about $1 billion to develop a new car, those costs are now being spread over more vehicles as traditional automakers work to use vehicle platforms for more models, said Dave Sullivan, an automotive industry analyst with AutoPacific. That would be one challenge for Apple, as would a lack of experience building cars, though Thilo Koslowski, vice president and automotive practice leader at Gartner, said they could acquire those manufacturing skills. "It's well understood because it has been around for 100 years," he said of building cars. "What isn't that well understood are the pieces that Apple would potentially bring to the table." Apple has built its fortune on creating products that are compellingly designed and that integrate software in such a fashion that immerses users' lives deeper into the Apple world, further hooking them for future upgrades. And it already has car-suited technology -- mapping software, for instance -- ready to go. "The car is one of the most important and critical pieces of the puzzle that you need to master if you want to interact with customers wherever they are," Koslowski said. "It's pretty important to have a phone that's connected, and can show you your calendar and do all kinds of other things, but now extending it to this other device that happens to have four wheels." The car business seems simple to outsiders, tempting some to think they can do better than Detroit, which spent a generation sliding toward bankruptcy reorganizations before re-emerging to new profits. But the modern automotive industry has a mixed record on how outsiders perform. For every Alan Mulally, who jumped from Boeing Co. to oversee Ford Motor Co.'s renaissance, there's a Bob Nardelli, the former General Electric Co. executive and Home Depot Inc. CEO, who was at the helm of Chrysler during its bankruptcy. Tesla has so far succeeded while Fisker Automotive, another high-profile electric car company, had its assets sold off in bankruptcy. Apple, meanwhile, has a unique mix of executives with tech and auto experience. The company has long hired engineers from the automotive space, often with experience in supply chain management, battery technology and user-interface experience. Luca Maestri, Apple's CFO, spent 20 years at General Motors in areas of finance and operations. Eddy Cue, the influential senior vice president of Internet software, is a car enthusiast and on the board of Ferrari. Steve Zadesky, vice president of iPhone product design, who is leading Apple's car effort, spent time working at Ford earlier in his career. And Marc Newson, a well-regarded industrial designer who joined Apple's secretive design team last year, did a high-profile concept car for Ford in 1999. One of the strengths -- and weaknesses -- of traditional automakers has been their dealer networks. It's hard to open up store fronts around the world fast enough to get the scale needed to sell cars. In the U.S., there are added complexities such as state franchise laws that often prohibit manufacturers from selling cars directly to customers. That's something Tesla has sought to upend. Rather than selling through franchised dealers, the Palo Alto, California-based automaker operates its own showrooms -- which were created by a former Apple executive -- and takes orders over the Internet. The approach has drawn the ire of franchise dealers and the automaker has butted heads with dealer groups last year in Georgia, Missouri, New Jersey, New York, Ohio and Pennsylvania before reaching compromises. Apple, of course, already has a giant retail network through its hundreds of Apple Stores worldwide, from Brazil to Sweden to Turkey. The automotive business has a global complexity like few other industries, with regulatory, marketing and logistics issues that can trip up the capital-intense business on any given day. Apple, which designs its products in California but depends upon contractors to assemble them mostly in Asia, is used to managing an on-time supply chain around the world -- something Google Inc. doesn't do in its day-to-day Internet search business -- and handling the complexities of currency swings throughout global markets. CEO Tim Cook built his reputation at Apple for his ability to navigate those global operations. "That would be a huge plus should they decide to manufacture cars," Tim Bajarin, president of Creative Strategies, said. He said he remains skeptical that Apple wants to get into the actual business of selling cars, rather than just moving deeper into creating operating systems for automakers. "Doing cars is not in Apple's wheelhouse," Bajarin said. 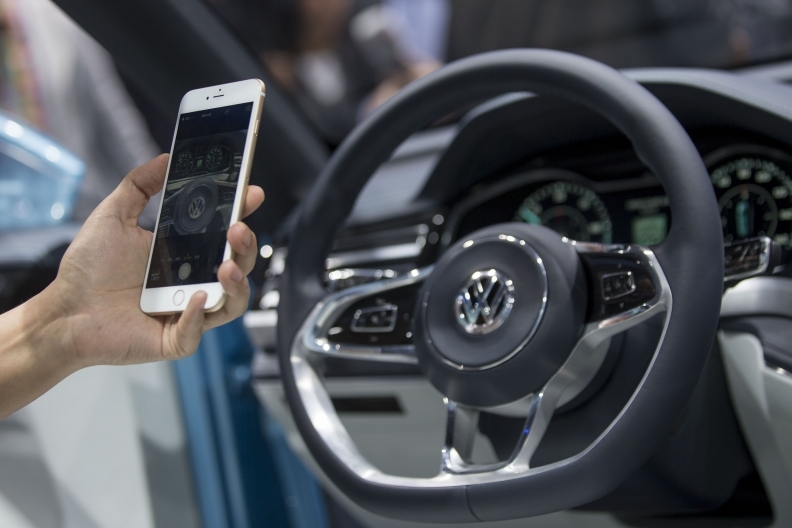 "It's more likely they are trying to create a richer, more immersive electronics experience tied to iOS where not only the audio system but the information and possibly new levels of security through sensors and cameras would be part of what they would offer to other carmakers." 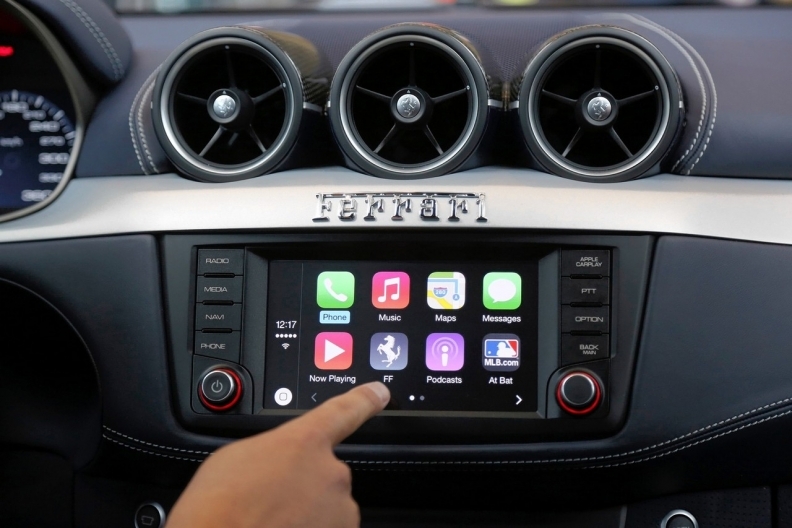 Apple could be creating concepts, or reference designs, to integrate technology to demonstrate to automakers, he said.